Bass Whammy, Other Bass Effect from DigiTech. The 2014 edition of the Bass Whammy includes improved polyphonic tracking and tone detection technology, while retain the controls from the original pedal (21 pitch settings, including the famous Dive Bomb effect). You’ll find two tracking modes: Classic for single notes and Chord that employs a polyphonic detection algorithm to apply the effect to full chords. 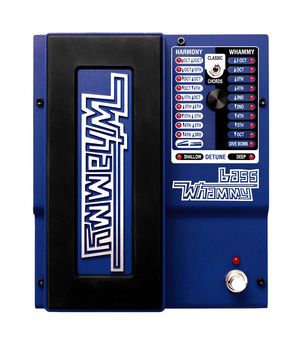 The Bass Whammy is equipped with a true bypass and can be MIDI controlled. It is powered by a 9V adapter. 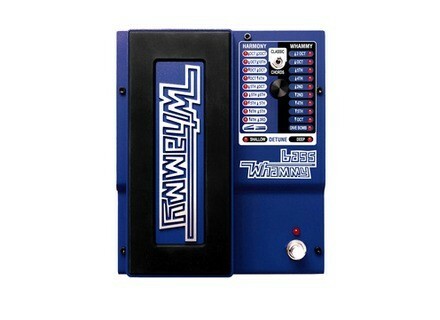 Discover the new Bass Whammy at www.digitech.com. [NAMM] RockBass Bootsy Collins Space Bass Warwick will debut new Bootsy Collins signature bass at NAMM 2014. [NAMM] Jens Ritter for X-Men Fans If there's something that can't be denied about Jens Ritter is his creativity, and his new 5-string bass dedicated to X-Men fans is proof of that. [NAMM] New Cort Rithimic Jeff Berlin bass Cort will introduce at NAMM Show 2014 next week a new bass guitar Jeff Berlin Signature.